Eligible Candidates can Download Constable/Fireman Exam Admit Card at the Official Website of CSBC Bihar Police. Applicants First Log on to CSBC Official Website. 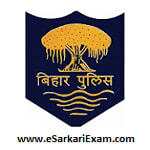 Click on Download e Admit Card for Written Exam of Constable, Fireman Link. Open & Download Exam Hall Ticket.